Why Use a Multi Tap Transformer? In an outdoor lighting system of any significant size or scope, voltage loss will occur. 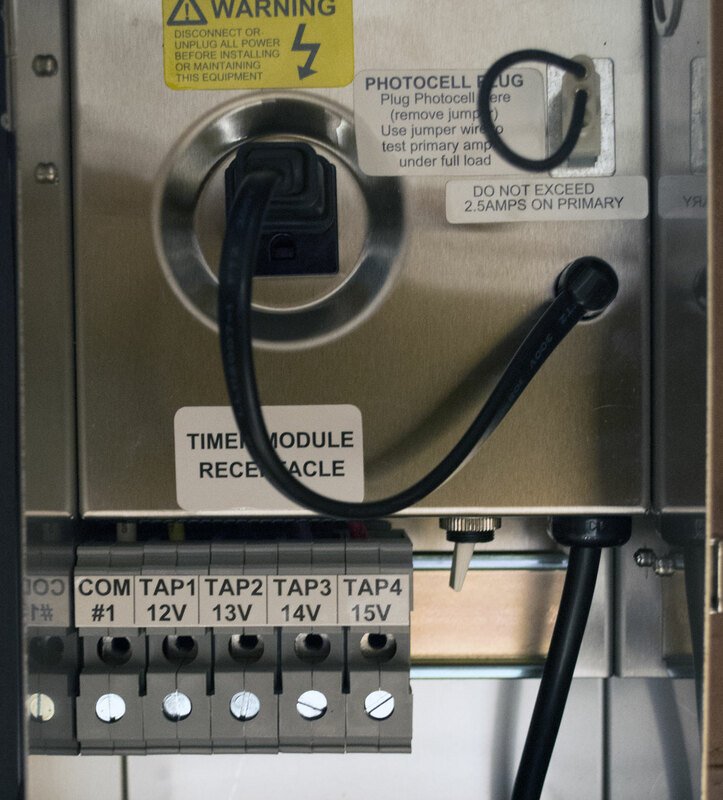 Voltage loss can occur for many reasons. Long runs, thin wire, many fixtures on a run and high power consumption are some of the things that will create power loss. Professional installers use a lower gauge (thicker) wire to reduce voltage loss. However there are times where long runs or high power requirements cannot be avoided. Situations like this cause voltage loss and multi tap transformers are frequently the only way to deal with the issue. How do I Know if I Need a Multi Tap Transformer? Installers should always have a multi-meter when installing outdoor landscape lighting. When hooking up a run of lights, check the voltage at the last fixture of the run. If the voltage is 11.3 volts (for example) then you’ll need to move up from the 12-volt terminal to the 13-volt terminal. Once you’ve made the swap check the voltage again. If you get a reading of 12.3 volts then you’ve solved your power loss issue. What if I Don’t Have a Multi Tap Transformer? Don’t load up a run with fixtures that require lots of power. If you’ve got a run that has more than 150 watts consider breaking that run into to runs of 75 or so watts. 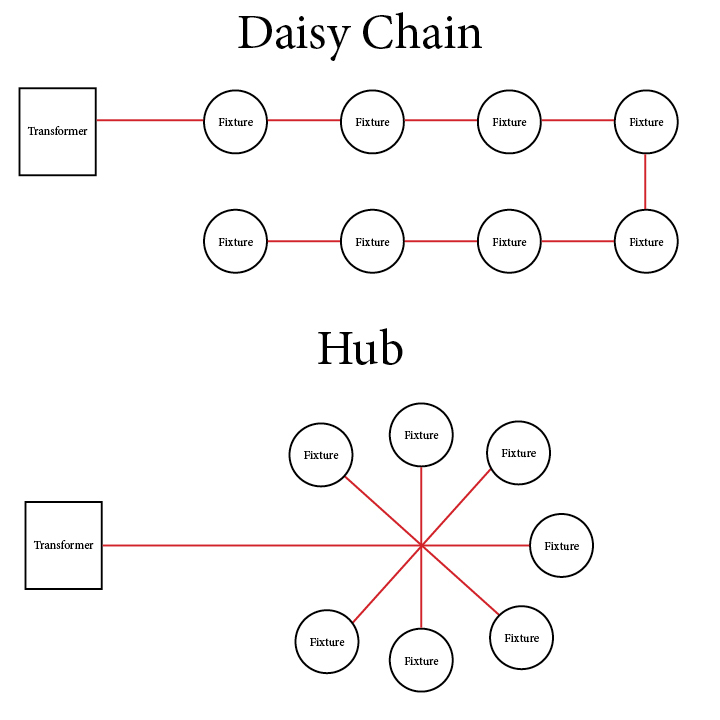 Daisy chaining systems can mean you’ll have a higher voltage going to the first fixture on the system than the last fixture. This could possibly reduce the lifespan of each of these two lights. Use a hub system instead that will evenly balance power distribution to each light. Don’t put fixtures that are close to the transformer on the same run with fixtures that are a long way from the transformer. Instead put all of the nearby fixtures on one run and put the ones furthest away on another. At the same time try not to have too many fixtures on the long run. If you’ve got a line of fixtures on a run that is 50′ from your transformer for example, attached the wire that runs back to the transformer to the middle of the wire that feeds the run. This will result in even distribution and the run will resemble a ‘T’ shape instead of an ‘L’ shape. Is Your Outdoor Lighting System Balanced? 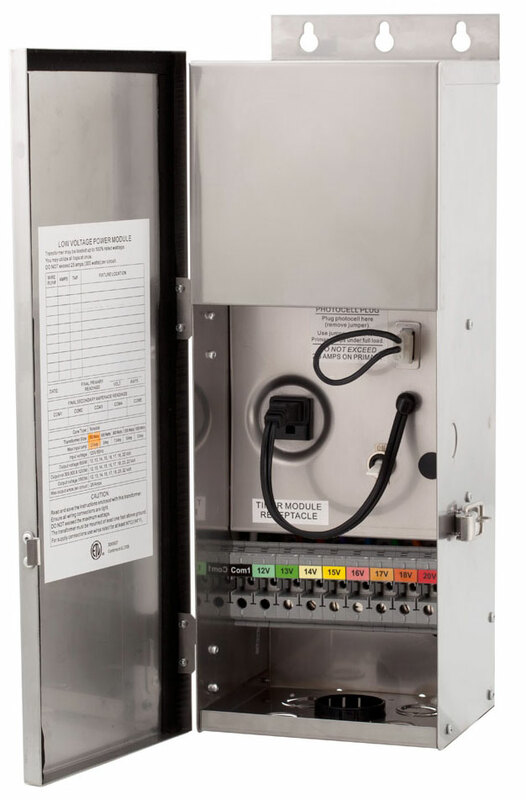 300-watt transformer showing plug-in for timer module and photo cell. This transformer has taps ranging form 12v to 15v. 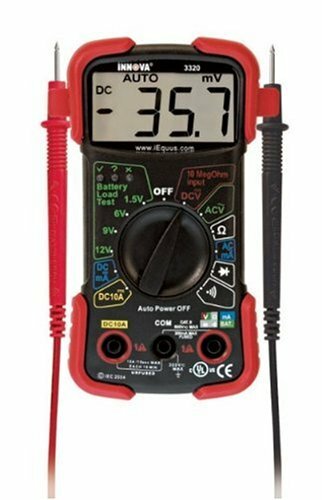 If you are unsure about whether or not you have too much voltage loss let us check it for you. We’ll be right out for a no-obligation consultation. We’ll check your system and if adjustments need to be made we’ll be happy to give you our advice or make the adjustments for you. Previous PostThe Best Argument for Outdoor LightingNext PostWhat is an LED bulb?